Microsoft is reportedly considering making free-to-play games available over Xbox Live, following the micro-transaction model that has proven so popular on social networks and mobile. The news comes from 'trusted sources' at IGN claiming that Microsoft is set to extend its current free Xbox Live demos to full free-to-play games on the service in 2012. TechRadar has contacted Microsoft for further comment on the news. We will of course update you when we hear back. 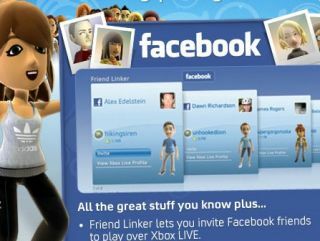 The alleged plans will see Xbox Live gamers playing free-to-play games and paying for in-game content such as clothes, weapons and vehicles, as is currently popular with Facebook games such as FarmVille and MafiaWars. Stay tuned for more on free-to-play (F2P) games on Xbox Live news as and when we hear more. Electronic Arts has recently launched on open beta of Battlefield Play4Free, pointing towards a possible future for online console game distribution.